If you’re on Facebook or Instagram, you can follow me there! 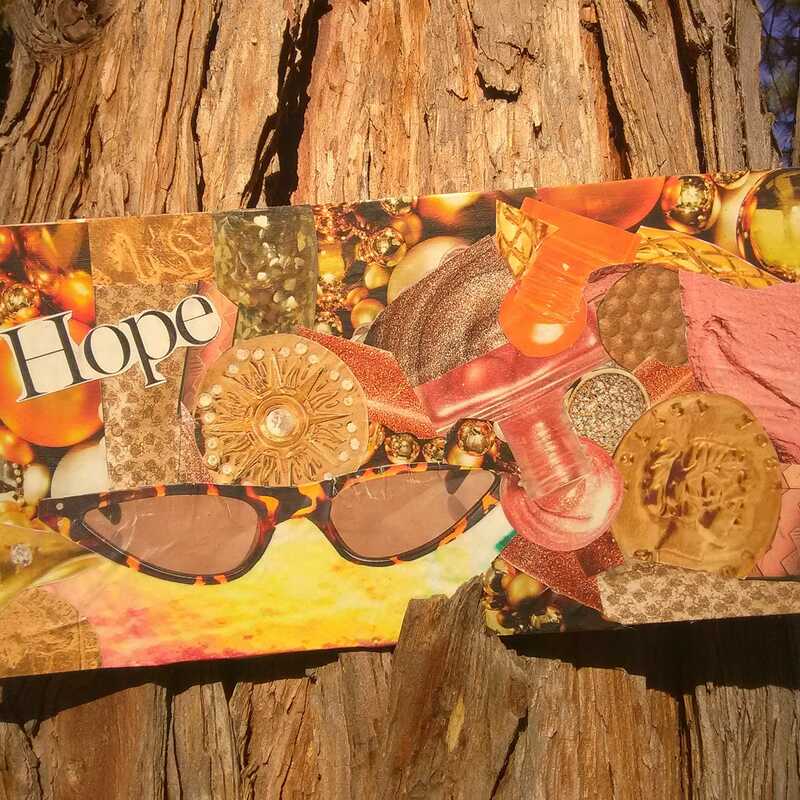 You can see my handmade creations, like this collage, on my Blazin’ Sun Creations Facebook page. I have three Facebook pages you can follow: Blaize Sun, Rubber Tramp Artist, and Blaizin’ Sun Creations. The Blaize Sun page is about me as an author and a person. Each of my blog posts pops up on the Rubber Tramp Artist page on the same day it appears here. I sometimes also post photos and updates on my life and travels there. The Blaizin’ Sun Creations page is where I share artwork I’ve created that is for sale. If you follow my pages, you can stay up-to-date on what I’m doing through your Facebook account. Of course, I would be so pleased if you like any or all of my pages. You can also leave a review of anything I’ve made that you now own, this blog, or my book Confessions of a Work Camper: Tales from the Woods. I’ve been having a lot of fun on Instagram since I joined almost two months ago. You can find me @rubbertrampartist. I love sharing photographs there. Sometimes I take a great shot, but the photo doesn’t necessarily have a place in one of my blog posts. Instagram lets me easily share the photos you might otherwise never see. I do mention my blog and my writing on Instagram, but the photos in my account show a broader portion of my life, everything from the bargains I find (hello 99 cent organic polenta and a huge jar of Southwestern 505 salsa with certified Hatch, NM green chiles for $2.47) to the trees I see on my lunch break. If you already like my blog, and particularly if you enjoy my photos, follow me on Instagram! Bargain salsa! 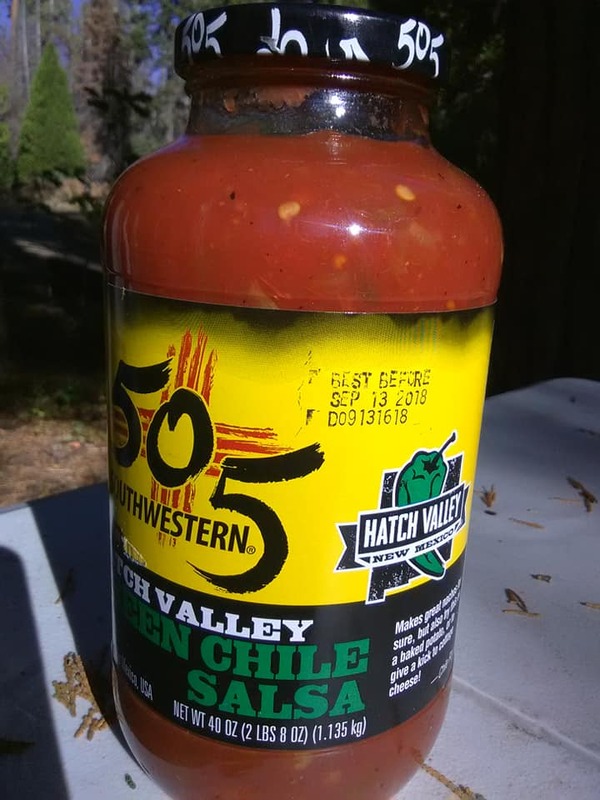 Hatch green chiles and only $2.47 for that big jar! I’m not on Twitter or Pinterest. Should I be? Let me know what you think by commenting below. I took the photos in this post. They originally appeared in my Instagram account.